*It seems like church is a primary target for a lot of desperate folks these days. Just this past Sunday, an Atlanta woman was arrested for entering into vehicles parked at two churches, to steal valuables. Latoya Wilda Ellis, has been accused of at least eight break-ins since April 17 at New Hope Baptist Church and Flat Creek Baptist Church. 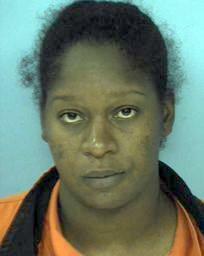 She may have stolen credit cards and used them to at metro Atlanta stores. Surveillance videos from stores helped catch the woman as she was identified at the stores using the cards. Her image was broadcasted on a local news station, when someone recognized her and called the police. Those who are waiting on the Lord in the churches, what does a thief come to do again?